Now these were rather scrummy. Even though I had planned for them to be for little one - well I couldn't resist and they were bitesize. Plus they were super quick to come together. Add the flour, salt and butter to mixer - combine until butter is mixed with the flour (like breadcrumbs) Add cheese and milk and mix. Once just combined remove dough and roll out until about half inch thick. 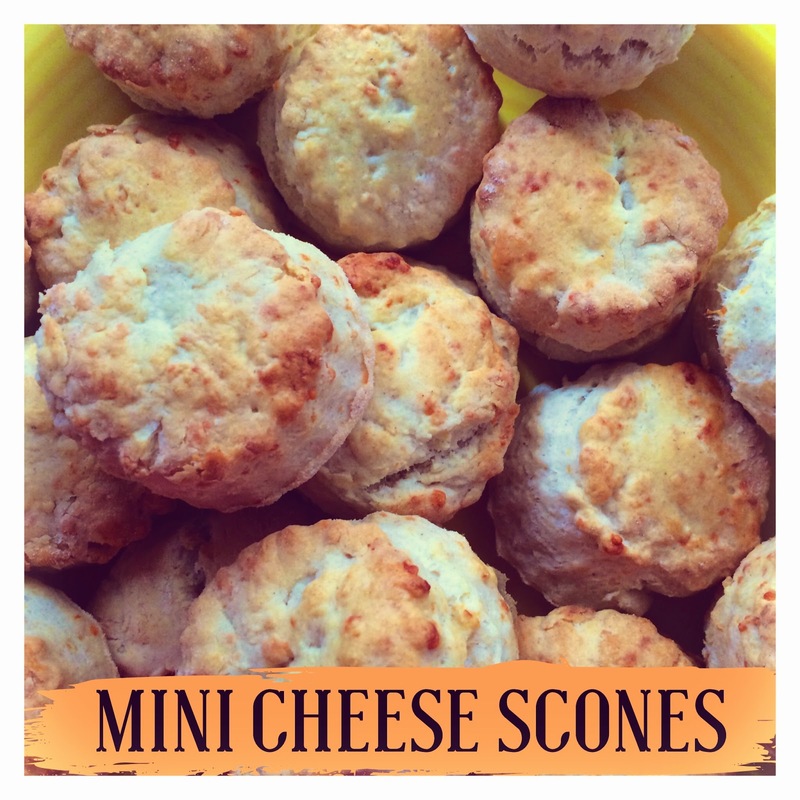 Cut out scones and bake. I used a stoneware pizza tray for baking. Bake in the oven until golden - for about 20 minutes on about 180c.